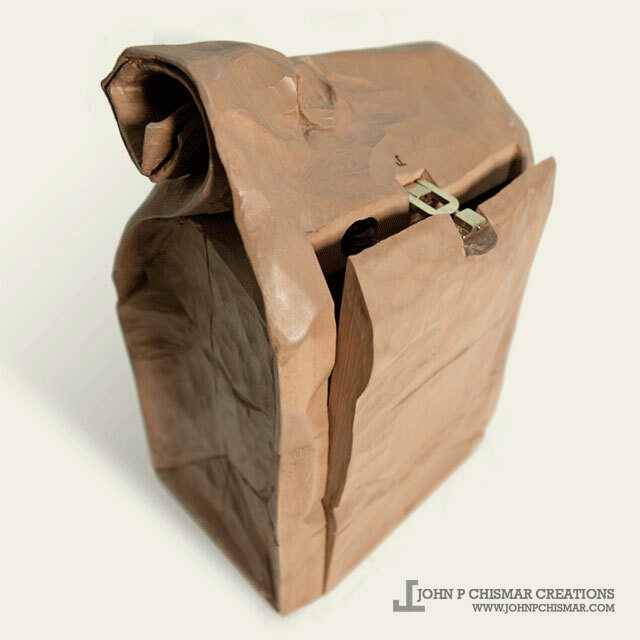 The Brown Paper Bag Lunch Box. The wooden Brown Paper Bag Lunch Box travels with me while commuting from NJ to Manhattan. I carved the lunchbox out of basswood in 2011 because I wanted a brown paper bag lunch box and there were none to be found. The bag has since become synonymous with me and my commute. I’ve always been a tinkerer with artistic aspirations. The new millennia brought with it a new passion for working with wood. There’s always a project on the bench and more challenging projects on the horizon. With hopes of finding friends and inspiration I decided to start this blog. Thank you for joining me. I like this lunch bag. Thanks for the compliment and for checking out my blog.